Don’t miss this precious natural green columbian Emerald loose gemstone, with an incredible bright green color with some blue hue, this emerald show a good saturation and nice clarity and luster. 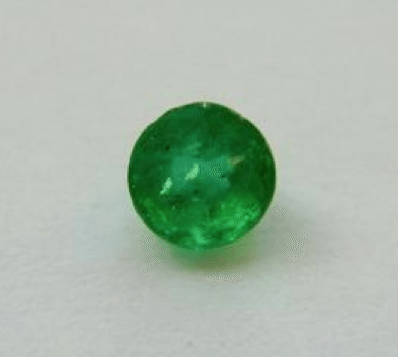 This natural green emerald loose gemstone mined in Columbia, the country of the most popular emerald has a nice round brilliant cut that make it more bright and sparkle, perfect to be set in an exclusive jewel like a pendant or a gold ring. Dimensions: 3.8 x 3 mm.